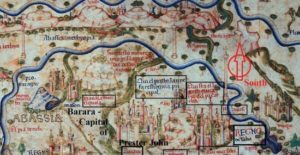 Archaeologists and scholars crack the code of the historic Fra Mauro map to find long lost medieval cities in Ethiopia. The Fra Mauro map (mid-15thcentury) provides a rare lens into the geographical worldview and mental landscapes of the medieval world. By connecting identifiable geography from this map to historical place names, we have begun to discover lost, medieval cities in Ethiopia. Scholars long considered Africa the least reliable portion of the Fra Mauro map. 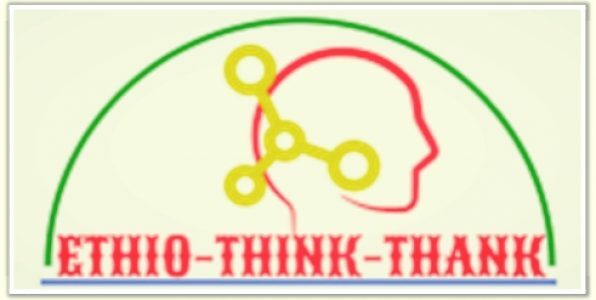 It is the contention of this article, however, that implementing a more Afro-Arabian geographical framework resolves apparent idiosyncrasies to the western mind, revealing a compelling story long hidden in plain view. Untangling the region of Abassia Ethyopia requires interpreting the physical features and polities transposed upon the map through the worldview of the informants from these respective regions: emissaries, pilgrims, merchants, etc. Our hypothesis asserts we can translate images of the medieval geography through the centuries to locate archaeological features. Using remote-sensing in conjunction with other early maps, we identified sites of long-lost cities such as Sadai and Tegulet, and via field-walking, have confirmed substantial architecture and period-specific cultural materials. Our continuing research traces patterns of land-use across landscapes, identifying phases of occupation and trade networks during Ethiopia’s poorly understood medieval periods. Having now created a template for interpreting this map, we expect to be able to read and understand other regions in Africa. Indeed, the Fra Mauro map has proven more than the fanciful rendering of a medieval mind. Rather, it is the “before” snapshot of a Mappa Mundi, that literally turned our view of the world upside down within a single generation, and eventually expanding it by four new continents.